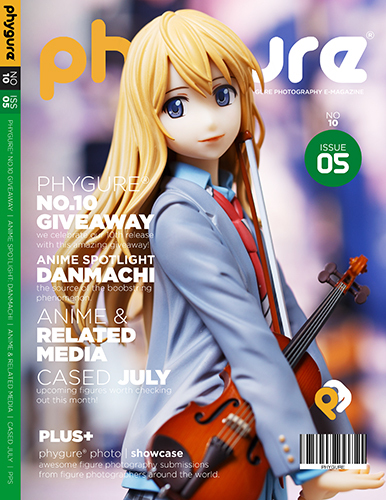 Issue 05 marks the 10th release of Phygure® and it comes with a whole new roster of talented toy and figure photographers around the world. Dive in and get inspired with some of the best figure photography from the international figure photography community. • Featuring 12 talented figure photographers from all over the globe. • Awesome figure giveaway to celebrate Phygure®’s 10th release. • Article: Anime and Related Media. • Cased: Upcoming figures of July. Requirements: To view this book, you must have an iOS device with iBooks 3 or later installed, or an Android device with Kobo Reader App installed. Both apps are available for free in their respective app stores. Check out some of our previously released issues. All content on this site, including articles, artworks, screen shots, graphics, logos, and other files, is the property of their respective owners. 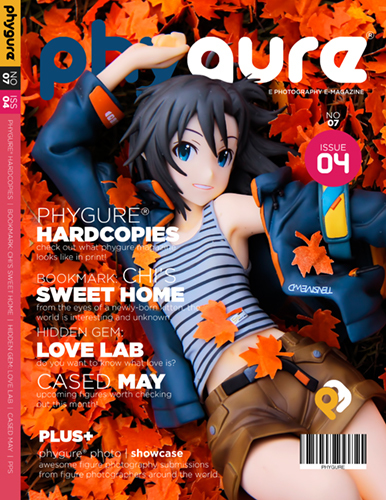 © Copyright 2019 Phygure®, Bringing figure photographers together™. All rights reserved. Created with for the toy and figure photography community by Otakumouse.